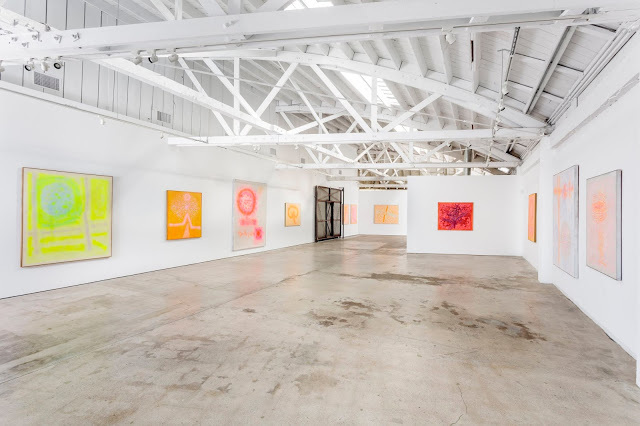 Richard Bowman: Radiant Abstractions opened February 2nd at The Landing gallery in Culver City (Los Angeles), curated by Patricia Watts. Watts has been working with artists estates in the Bay Area since 2014 and has published a book on Bowman (1918-2001), a pioneering artist who decided in the early 1940s, while on a trip to Mexico, that he wanted to paint the elemental relationship between the earth and the cosmos. His first series, called Rock and Sun, was painted in a style inspired by Surrealist painters who resided in Mexico at the time, including Gordon Onslow Ford. He continued that series until 1950 when he became enthralled with early scientific imagery that was being published, such as cloud chamber photography visualizing the passage of ionizing radiation, and decided to combine abstract expressionism with scientific exploration. 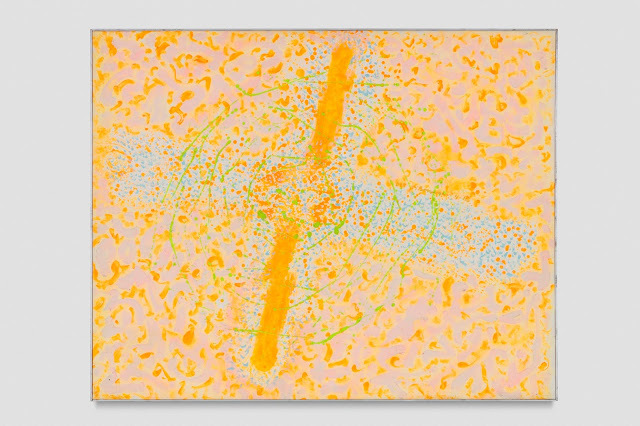 In 1973, he published an article in the MIT peer-reviewed academic journal Leonardo, describing his then twenty-three years of “Painting with fluorescent pigments of the Microcosm and Macrocosm.” He continued painting these works through the 1990s, for fifty years. Series titles included: Kinetograph, Macromicrocosmos, Kinetogenics, Environs, Dynamorph, and Synthesis. Radiant Abstractions will conclude on April 6, 2019.
ecoartapace ecoartspace is a nonprofit platform providing opportunities for artists who address the human/nature relationship in the visual arts. Since 1999 they have collaborated with over 150 organizations to produce more than 40 exhibitions, 100 programs, working with 400 + artists in 15 states nationally and 8 countries internationally. Currently they are developing a media archive of video interviews with artists and collection of exhibitions ephemera for research purposes. Patricia Watts is founder and west coast curator. Amy Lipton is east coast curator and director of the ecoartspace NYC project room. Field to Palette: Dialogues on Soil and Art in the Anthropocene is an investigation of the cultural meanings, representations, and values of soil in a time of planetary change. The book offers critical reflections on some of the most challenging environmental problems of our time, including land take, groundwater pollution, desertification, and biodiversity loss. At the same time, the book celebrates diverse forms of resilience in the face of such challenges, beginning with its title as a way of honoring locally controlled food production methods championed by “field to plate” movements worldwide. By focusing on concepts of soil functionality, the book weaves together different disciplinary perspectives in a collection of dialogue texts between artists and scientists, interviews by the editors and invited curators, essays and poems by earth scientists and humanities scholars, soil recipes, maps, and DIY experiments. 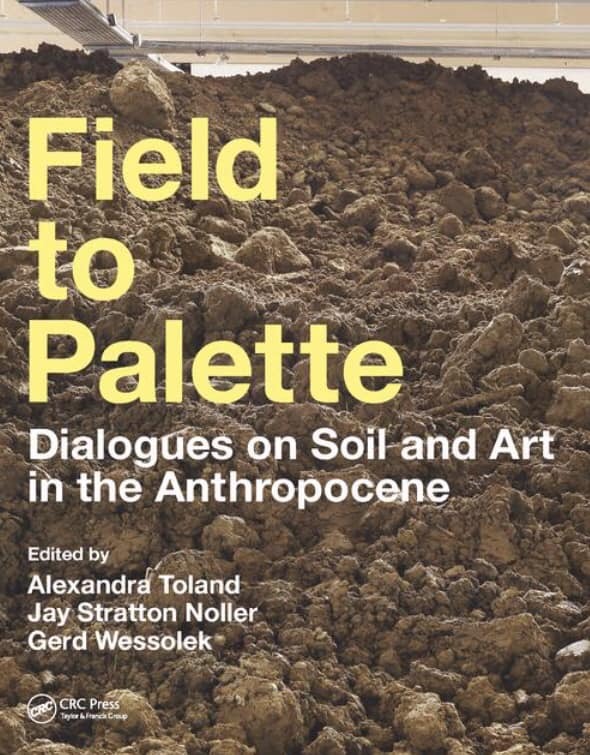 With contributions from over 100 internationally renowned researchers and practitioners, Field to Palette presents a set of visual methodologies and worldviews that expand our understanding of soil and encourage readers to develop their own interpretations of the ground beneath our feet. Edited by Alexandra Toland, Jay Stratton Noller and Gerd Wessolek. 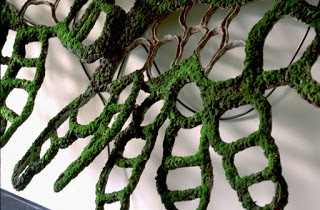 ecoartspace was invited by Alexandra Toland to contribute a piece for Field to Palette back in 2014. The book is sectioned by soil function, and included in Function 3 titled Interface: Soil as site of environmental interaction, filtration and transformation is an interview with Mel Chin by founder Patricia Watts, and NYC Director Amy Lipton. Titled Don’t Worry, It’s Only Mud, the interview includes excerpts from their discussion with Chin in 2015 in the East Village. Both Watts and Lipton have curated exhibitions of artists addressing how food is grown, distributed and consumed. 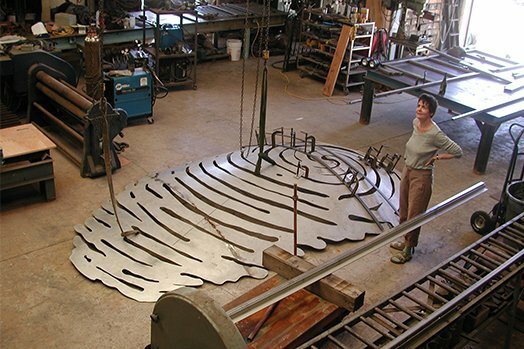 Watts recently curated a public art sculpture Cloud House by Matthew Mazzotta, and curated Hybrid Fields in 2006 that included Laura Parker and Matthew Moore who are both interviewed in Field to Palette. 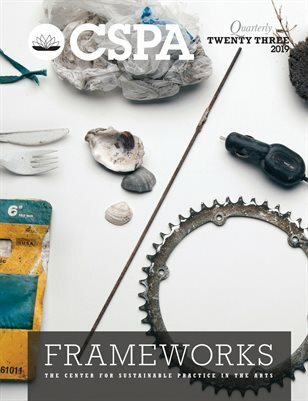 Tattfoo Tan and his Black Gold work in Field to Palette was included in the ecoartspace SOS Action Guide in 2014. And, Lipton curated FoodSHED: Agriculture and Art in Action in 2014 including Linda Weintraub a contributor to Field to Palette, also including Tattfoo Tan. 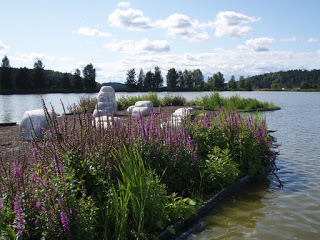 She also curated Down to Earth in 2009 and co-curated ecovention with Sue Spaid, a contributor to Field to Palette, on the exhibition ecovention in 2002. Includes painting, sculpture and video contemplating the human/animal relationship, while addressing confinement, wildness, and husbandry. Organized and curated by Patricia Watts, founder of ecoartspace, in collaboration with Gallery Route One (GRO) in Point Reyes, California. Our human relationship with animals has dramatically altered over time. As world populations continue to rise and as wild spaces are reduced due to human encroachments, our heightened interactions with animals expand our awareness of both ourselves and other. As individuals, our consciousness of the boundaries between humans and animals ultimately determines our own fate as a species. Having become dependent on animals for psychological and nutritional needs, human beings don’t often know where the self ends and the other begins. In 2015 the New Zealand government formally recognized animals as sentient beings by amending animal welfare legislation, an enlightened perspective. This amendment acknowledges that animals experience both positive and negative emotions, including pain and distress, as humans do. Shockingly, however, the British government recently voted not to transfer parts of EU legislation into UK law, parts that recognize animals as sentient beings, a not so enlightened perspective. Historically, it has been posited that animals live “on the surface” and do not engage in self-reflective thought. They likely did not have the ability to process events or have memories like those of humans. Their lives were considered a series of situations, one after the other, instead of an intellectual endeavor. And, we were told, they lacked critical reflection and were not able to differentiate objects from people. These theories have been considered as facts. The three artists in Contemplating OTHER arrive at their subject from different perspectives and use diverse media, while they all reflect on the human-animal relationship in their art. Alicia Escott places herself in the role of animal, physically cloaking herself in sheets of found plastics, upon which she has delicately painted wild animals. She then places herself in nature for documentation. Her work takes the form of photographs, video performances, and installations. Linda Guenste makes vivid paintings that reflect her experiences of finding the remains of abandoned corrals scattered throughout the Great Plains states of America. There, cattle were historically rounded up in small groups and loaded onto trucks, then hauled off to slaughter. 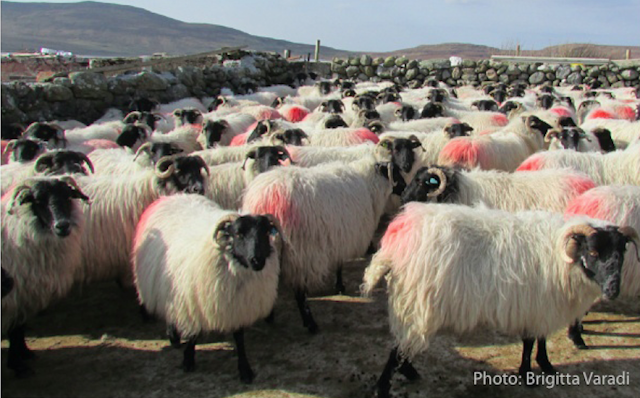 Brigitta Varadi works with raw sheep wool to present an aesthetic element of farming practices, in which animals are marked with color-coded paints to identify ownership. Her paintings remind us that animal husbandry links us humans with animals psychologically as well as for our dietary survival. 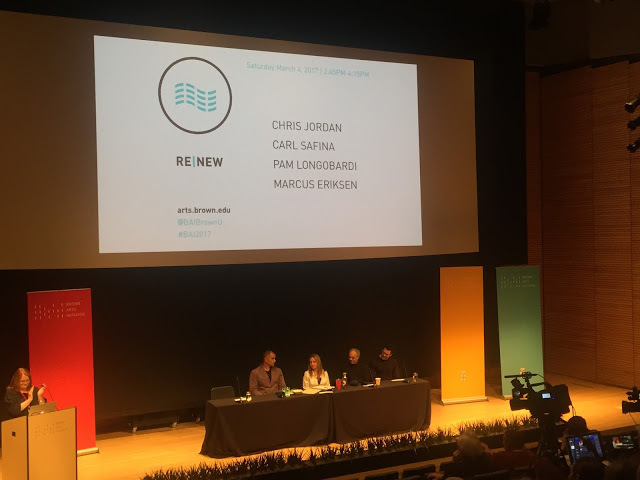 Curator Amy Lipton was invited to present on the work of ecoartspace at the The Brown Arts Initiative (BAI) re|ACT: symposium on arts and environment March 3 & 4, 2017 at the Granoff Center for the Creative Arts, Brown University. The symposium initiated the BAI and brought together cutting edge artists, curators and scholars whose work engages with the multiplicity of environments in which we live. From the natural environment to data mediascapes to sonic ecologies, re|ACT showcased the latest arts practice and research that reacts to and with the environment. A consortium of six art departments and two affiliated programs representing the performing, visual and literary arts at Brown University, the BAI is designed to foster an interdisciplinary environment where faculty, students, artists and scholars in a wide range of fields from across the campus and around the world can learn from and inspire one another. 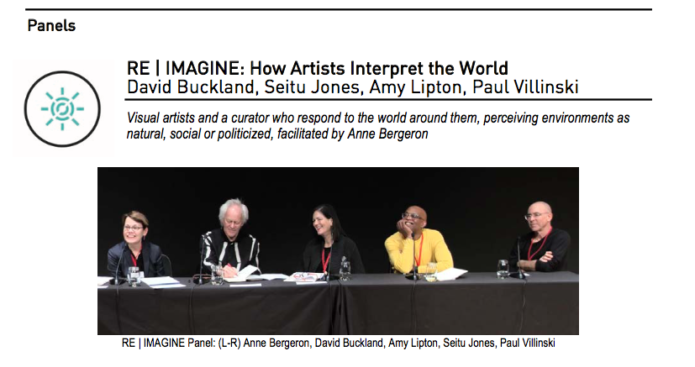 Lipton was invited to participate on a panel titled, re|IMAGINE: How Artists Interpret the World. Visual artists and curators who respond to the world around them, whether they view environments as politicized, natural or social. Each panelist discussed their individual practices, which had a common theme—how the making of art can be a tool for social and cultural change. 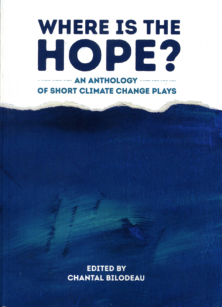 David Buckland described his organization, Cape Farewell, which has sponsored expeditions involving more than 350 artists calling attention to climate change. Seitu Jones shared his public installation work in his hometown of St. Paul, MN, including The Community Meal, a mile-long, outdoor dining experience that connected over 2,000 residents through locally sourced, healthy food. Amy Lipton related how she and Patricia Watts, co- founders of the ecoartspace gallery without walls, have paired artists with scientists, engineers, architects and botanists, using “art as a pathway towards a more sustainable and resilient future.” Paul Villinski spoke of repurposing the detritus of his neighborhood into artwork evocative of flight and building a self-contained ecosystem in his studio that nurtured live butterflies, recurring imagery in his work. 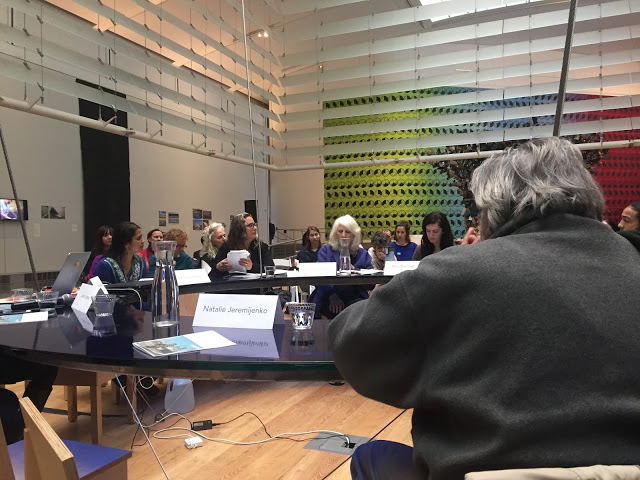 On February 12, I participated as a panelist/respondent on “Care as Culture: Artists, Activists and Scientists Build Coalitions to Resist Climate Change, A Convening Around the Peace Table”. This event was held at the Queens Museum in conjunction with the exhibition Mierle Laderman Ukeles: Maintenance Art and took place at the large circular “Peace Table”, a centerpiece of her large retrospective exhibition. Our afternoon of discussion brought together a group of artists, activists, and scientists. 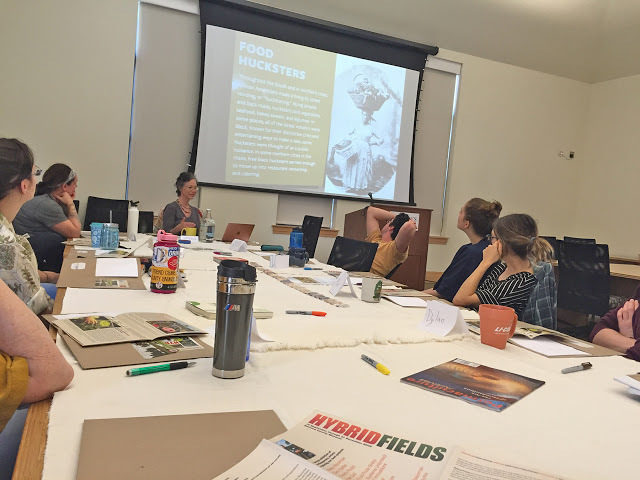 One goal of the roundtable was to brainstorm methods for coalition building across these disciplines, to effectively multiply the power to confront an environmental, political, and spiritual crisis in our increasingly antagonistic time. Questions posed were; “How can we create a broad cultural movement to combat the policies of a new administration intent on dismantling many of the safeguards that reduce the effects of climate change”? 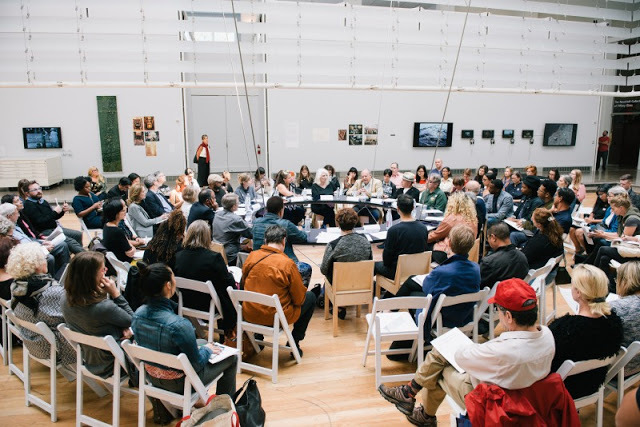 “How can successful coalitions be introduced, and the urgent ways artists can begin the process of coalition building” and “what prevents us from working together and how can we advocate for change”? The presenters included Newton Harrison, The Natural History Museum, Natalie Jeremijenko, (absent) and Mary Mattingly. Respondents included Carol Becker, Francesco Fiondella, Allan Frei, Hope Ginsburg, Alicia Grullon, Klaus H. Jacob, Amy Lipton, Lisa Marshall, Jennifer McGregor, Aviva Rahmani, Jason Smerdon, and Marina Zurkow. Newton Harrison presented on the concepts, outcomes, and collaborations that were part of “A Vision for the Green Heart of Holland” 1995. 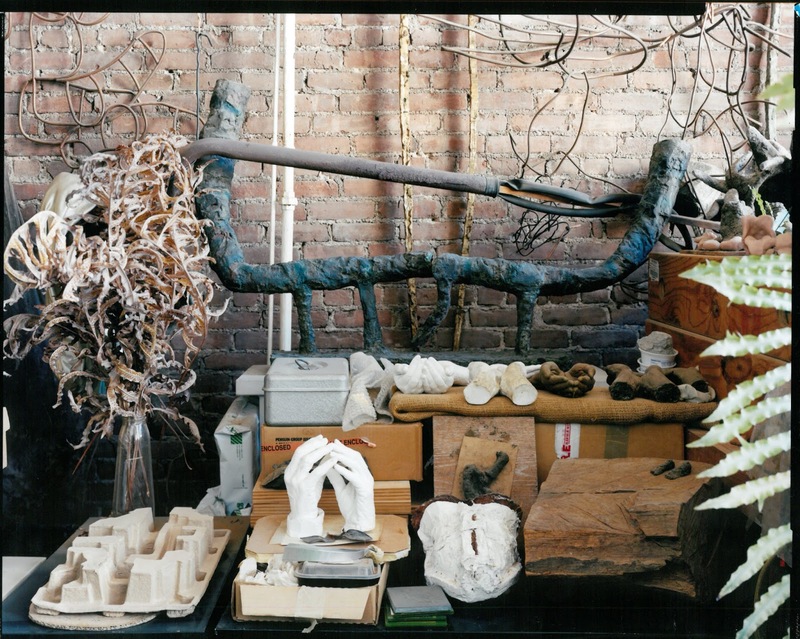 The Harrison Studio consists of Helen Mayer Harrison (b.1929) and Newton Harrison (b.1932) who are among the earliest and the best known ecological artists. 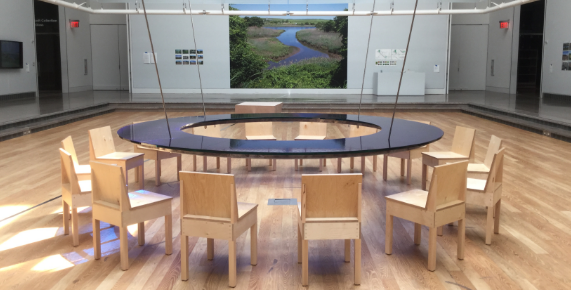 Working with biologists, ecologists, architects, urban planners, and other artists, the Harrison Studio initiates collaborative dialogues to uncover ideas and solutions that support biodiversity and community development. Speaking on behalf of the collective The Natural History Museum was co-founder Beka Economopoulos. In her presentation “Tactics for the Trumpocene” she addressed the museum’s latest work to build coalitions between scientists, Indigenous communities and museum professionals. The Natural History Museum’s mission is to affirm the truth of science. The museum is a project of Not An Alternative, a collective of artists, scientists, historians, theorists, and activists. Launched in 2014, The Natural History Museum is a mobile and pop-up museum that offers exhibitions, expeditions, educational workshops, and public programming. Unlike traditional natural history museums, it makes a point to include and highlight the socio-political forces that shape nature. Artist Mary Mattingly presented “Swale”, an experiential public space and artwork on New York’s waterways that provides access to free food through perennial urban agriculture along with coalition members Lindsay Campbell, Dariella Rodriguez, Bram Gunther (Co-Director of the NYC Urban Field Station), and docents from the Youth Ministries for Peace and Justice: Brandon Kane and Anthony Lespier. Mattingly is an artist who takes societal consumption and ecological crisis as points of inquiry. Working with community members ranging from scientists to engineers, students, and neighbors, she co-creates sculptural ecosystems in urban spaces. Mattingly is engaged in questions about how art can influence policy and strengthen the commons. Panelist/Respondents included Carol Becker, Professor of the Arts and Dean of Faculty at Columbia University School of the Arts; Francesco Fiondella from the International Research institute for Climate and Society at Columbia University’s Earth Institute; Allan Frei, climatologist and Deputy Director of the CUNY Institute for Sustainable Cities; Hope Ginsburg, artist; Alicia Grullon, artist and founder of Percent for Green, Bronx, NY; Klaus H. Jacob, geophysicist and Professor of Environmental Science at Barnard College; Amy Lipton, Director/Curator at ecoartspace; Lisa Marshall, community organizer for Mothers Out Front, NY; Jennifer McGregor, Director of Arts and Senior Curator at Wave Hill, Bronx, NY; Aviva Rahmani, artist and visiting professor at Stony Brook University, NY; Jason Smerdon, Associate Research Professor at Lamont-Doherty Earth Observatory of Columbia University and Marina Zurkow, media artist and faculty member at ITP/Tisch School of the Arts. The convening took place over the course of 3 plus hours and gave time after the presenters for respondents to speak, address the posed questions and add to those questions. It was a day where dire concerns for the future were expressed, while simultaneously the uplifting wit, energy, knowledge and spirit of the participants proved to be an affirmation of like-mindedness and shared ideas towards coalition building, which had been expressed as a goal of the gathering. Having participated on many such panels, my hope is for continued dialogue. The group resolved to stay in communication beyond the event. 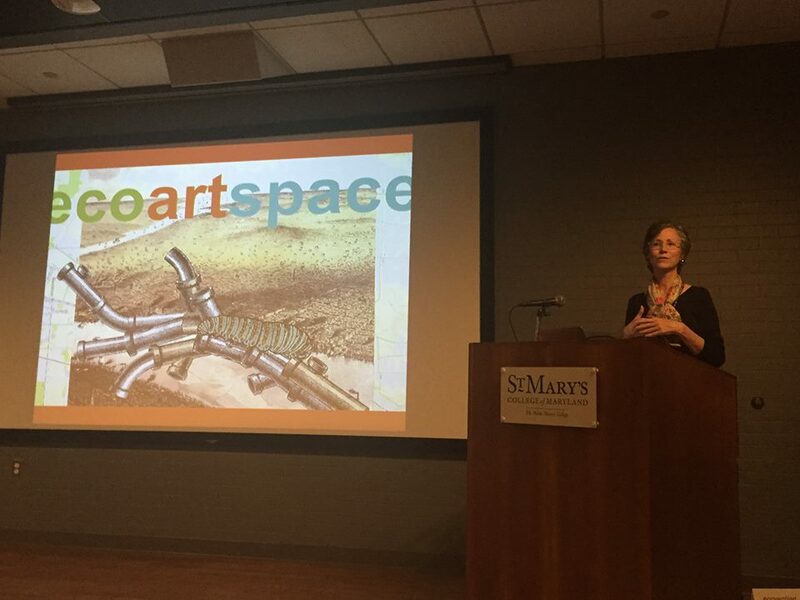 ecoartspace is a nonprofit platform providing opportunities for artists who address the human/nature relationship in the visual arts. Since 1999 they have collaborated with over 150 organizations to produce more than 40 exhibitions, 100 programs, working with 400 + artists in 15 states nationally and 8 countries internationally. Currently they are developing a media archive of video interviews with artists and collection of exhibitions ephemera for research purposes. Patricia Watts is founder and west coast curator. Amy Lipton is east coast curator and director of the ecoartspace NYC project room. This is not my first residency, however, curators are not often invited to occupy space that is traditionally made available to artists. 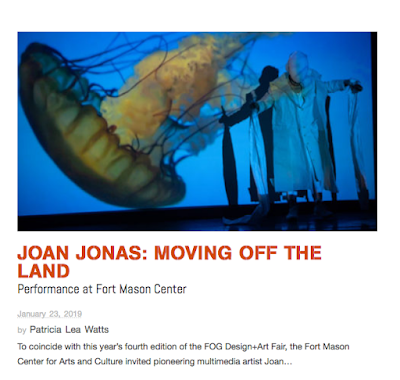 Last year, visual artist Sue Johnson, Professor of Art and Director of the Environmental Studies program and Artist House Residency at St. Mary’s College of Maryland, sent me an email and invited me to come out for a week, a month, or as long as I needed/wanted. I had included Johnson in an exhibition over a decade ago titled Bug Eyed: Art, Culture, Insects (2004), and was flattered that she invited me. This seemed like a great opportunity to spend time on a campus, interacting with college students, to give a lecture and a workshop, and possibly teach a summer session. We hammered out some dates, titles, and descriptions for my programs, and here I sit now at the Artist House on Mattapany Road in St. Mary’s City, home of Maryland’s first colonial settlement and the first capital of Maryland. I arrived on February 6th and started prepping for an Art & Ecology lecture and an Art & Food workshop, creating Keynote presentations and curating video clips to share. 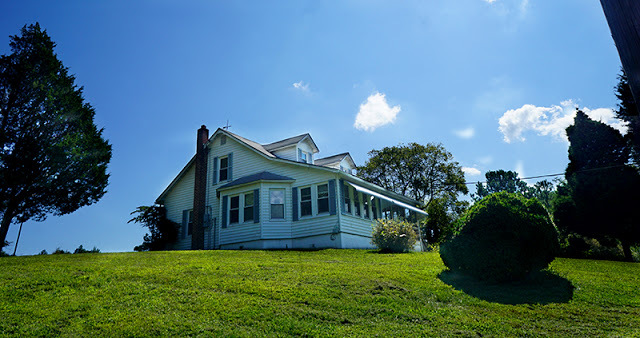 I could tell right away that the students here–being embedded in a farming culture in rural Maryland, and with environmental science and biology programs on campus–were naturally interested in the interstices of humans and nature. For my lecture on Feb. 22nd, I presented Windsock Currents, an installation I produced on Crissy Field in the Presidio in 2005, and Cloud House, my more recent curatorial public art endeavor in Springfield, Missouri. I presented the evolution of ecoartspace and our activities such as the video archive (presented interview with Buster Simpson) and Action Guides (presented Eve Mosher’s HighWaterLine). I also shared a short video on painter John Sabraw, providing an example of the remediative art that will be the focus of my Summer session I’ve proposed titled Debris Fields: Aesthetic Solutions to Industrial By-products. Attendance was over 100 including students and community members who stayed seated until the end; a resounding success as I am told! On Saturday Feburary 25th, I presented a six-hour workshop on art and farming, starting off with performative artworks from the 1970s including: FOOD restaurant in Soho by Gordon Matta-Clark and Carol Goodden; Making Earth by Newton Harrison; and The Farm an alternative school by Bonnie Sherk. I also presented Exchange Values by Shelley Sacks, an artist from the UK whose work inspired me to focus on art and food production after meeting her in 2005. And, I presented works by a few of the artists in my 2006 exhibition Hybrid Fields presented at the Sonoma County Museum, including: Susan Steinman’s Sweet Survival; Laura Parker’s Taste of Place; Temescal Amity Works Sonoma Preserves; Wowhaus’ Tree, Trust, True; and Matthew Moore’s Green Roof. More recent works that were shown included: The Waffle Shop in Pittsburgh; Lauren Bon’s Not-A-Cornfield; Amy Franceschini’s This is Not a Trojan Horse; and Matthew Mazzotta’s Harm-to-Table. We discussed how food miles are calculated and the challenges that this model presents. And, before breaking into two groups to brainstorm potential projects for St. Mary’s City, I took them down a “darker” path to examine the work of Hugh Pocock, MyFoodMyPoop, and Jae Rhim Lee’s Mushroom Burial Suit. We also watch segments of the documentary The Real Dirt on Farmer John an artist/farmer who comes close to losing the family farm, and excerpts from the play Map of My Kingdom about the transfer of farm land. I’ve been here three weeks now, with five more to go. I’ll be giving a talk to an environmental economics class February 27th (tomorrow), and another talk to a sculpture class on March 22nd. I’ve also been invited up to Baltimore to speak to an Urban Farming class taught by Hugh Pocock at the Maryland Institute of Contemporary Art on March 20th, as part of his Sustainability and Social Practice program. Looking forward to experiencing the change of season, from winter to spring, here in the land of oysters on the Potomac River in the Chesapeake Bay, the largest estuary in the USA. 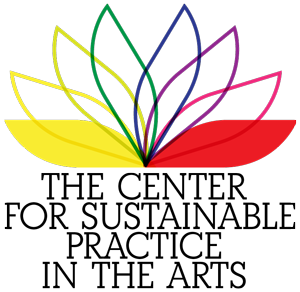 ecoartspace ecoartspace is a nonprofit platform providing opportunities for artists who address the human/nature relationship in the visual arts. Since 1999 they have collaborated with over 150 organizations to produce more than 40 exhibitions, 100 programs, working with 400 + artists in 15 states nationally and 8 countries internationally. Currently they are developing a media archive of video interviews with artists and collection of exhibitions ephemera for research purposes. Patricia Watts is founder and west coast curator. Amy Lipton is east coast curator and director of the ecoartspace NYC project room. How do artists engage communities, increase awareness about urban ecology and conduct projects that remediate environmental problems? Be part of the conversation at this all-day symposium, which brings together wide-ranging thinkers and spotlights New York City projects with a focus on the Bronx. Wave Hill is convening a day of discussions to accompany the retrospective Jackie Brookner: Of Nature. 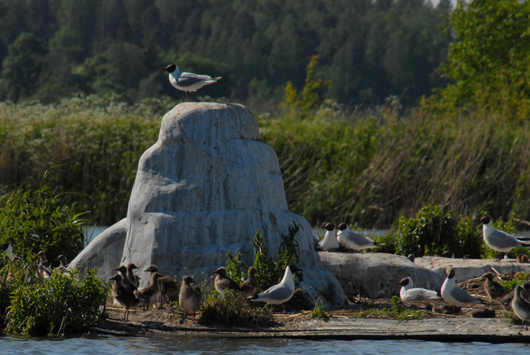 The topics and presenters reflect her interest in collaboration, water, remediation and community action and brings together a range of approaches and methods from artists of different generations. The format includes a mix of dialogues, short presentations, with time for exchange and conversation. $40/$36 Wave Hill Member/$30 Student. Ticket price includes admission to the grounds, box lunch and a closing reception in Glyndor Gallery. Registration is required. Seats are limited. Glyndor Gallery will be open from 9:30AM to 5PM for participants to see Jackie Brookner: Of Nature, and the Sunroom Project Space installation by Denise Treizman. Enchantment: a feeling of great pleasure, delight; the state of being under a spell or magic; a feeling of being attracted by something interesting, pretty, something that holds your attention. This month marks the closing of Enchantment at Peter Strauss Ranch in Agoura Hills, California. Three site works were installed in May and the final performance was on Saturday September 10th. Each artist was provided an honorarium by ecoartspace to cover materials and incidentals. It was the fourth successful collaboration between ecoartspace and the National Park Service (NPS); the others, Windsock Currents at Crissy Field in the Presidio (2005), and at the Grand Canyon South Rim Artist-in-Residence Program (2009 and 2012). Peter Strauss Ranch is home of an enchanting oak woodland that was inhabited for thousands of years by the Chumash people, and later as part of the Rancho Las Virgenes after Spanish Colonization. The modern Pool and rustic Terrace were built in the 1940s when Warren Shobert and Arthur Edeson purchased the ranch and transformed it into Lake Enchanto, an amusement park and retreat. Lake Enchanto closed in 1960. Peter Strauss purchased and restored the ranch in 1976 and lived on site until 1983. The ranch was then sold to the Santa Monica Mountains Conservancy, and the National Park Service purchased the ranch in 1987 as part of the Santa Monica Mountains National Recreation Area. It is located in the Triunfo Creek drainage. 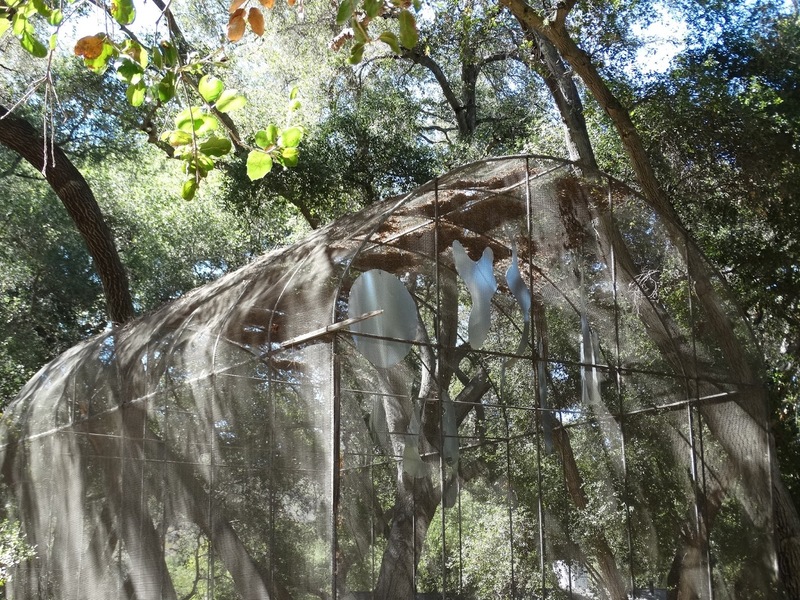 Cloud Chamber: Memories, Dreams and Reflections by Ben Allanoff transformed an existing aviary structure originally built by a former owner Harry Miller, a pioneering automotive engineer who used the ranch as a weekend retreat in the 1920. For this site, Allanoff cut biomorphic shapes from sheet metal and hung them from the top of the wire cage, a symbolism of the birds that once resided there. The reflective shapes were strikingly architectural, while evocative of the spirits or energies that “animate our world and our individual psyches that cannot be grasped,” stated the artist. 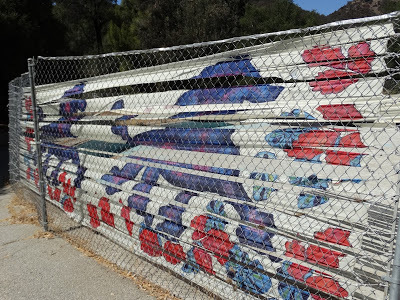 Park Pool Province by Karen Reitzel included two panels on the fencing around an abandoned circular cement pool consisting of hand-dyed strips of silk scarf material. One depicting two prancing poodles and poison oak leaves on aqua blue silk, and the other a helicopter with swimming poodle-shaped clouds on fleshy pink colored silk that could be seen from atop of the adjacent terrace. The artist was inspired by the site’s history of leisure, pleasure, and artifice, and the contemporary condition of partly re-natured, drought-stricken lands in close proximity to encroaching development. 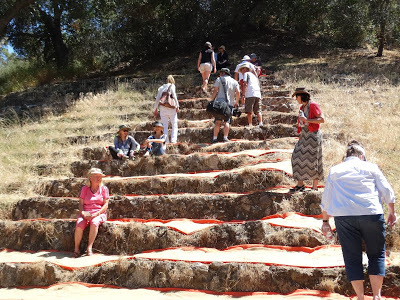 Within You and Without You by Faith Purvey located on a terraced hill overlooking the circular pool was an ascending pathway made of natural burlap and orange fabrics cut in a triangular shape. Participants climbing the hill entered a perceptual shift of the mind and an eventual meditative vantage space at the crest. Alluding to the rising stair paths found on Mayan Temples, the artist made use of the sites’ archaic architectural qualities to position her viewers to feel as though they had stepped into the distant past–whether meditating on 8,000 years of Chumash habitation, or the mysterious disappearance of the Mayan civilizations. The Moving Clouds performance on Saturday, September 10th, by Minoosh Zomorodinia, was sited in front of the aviary where she engaged visitors along a path while they passed through on their way to the Tiny Porches monthly concert series. 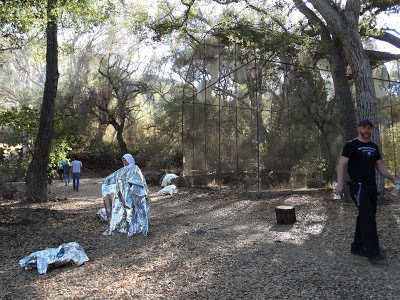 Dressed in all white, including her hijab, with several layers of shiny silver Mylar sheeting overlaid, the artist performed a series of ritual actions with repetitions of walking, marching, and jumping to animate her concerns for the changing climate. The reflective material was used to visually connect with nature, land, and the physicality of the human body, while re-creating the sounds of the oceans. Special thanks goes to Ranger Tori Kuykendall who invited ecoartspace to curate this summer art-in-the-park program, and to Ben Allanoff who suggested ecoartspace to Tori and laid the groundwork for Enchantment to happen. Thanks to the artists Karen Rietzel, Faith Purvey and Minoosh Zomorodinia for their thoughtful installations, and again to Ben Allanoff for his dedication to making art-in-nature and his additional installation made with Park staff along with volunteers from Santa Monica College and inmates from Malibu Conservation Camp #13. The playful sculpture made from cut fallen trees on Santa Monica Mountains Recreation Area property is titled Wood/Trees, and was designed and guided by Allanoff as a collaboration to amplify the creative energy and spirit of trees. Spanning Brookner’s entire career, the exhibition will include a selection of bronze sculptures from the 1980s and her seminal Of Earth and Cotton project, which traveled through the South in the 1990’s, including video interviews with cotton field workers by Terry Iacuzzo. Documentation of her commissioned water remediation projects in San Jose, CA; West Palm Beach, FL; Cincinnati, OH; Fargo, ND; and Salo, Finland will also be presented along with a selection of her studio drawings that were never formally exhibited.